It’s simple to enter. All you need to do is like the Alexander Joseph Facebook page or follow the Alexander Joseph LinkedIn page, like the Alexander Joseph competition social media post and then share it. That’s all and you can enter as many times as you like! The name of the winner will be announced on Wednesday 6th February via our social media platforms. 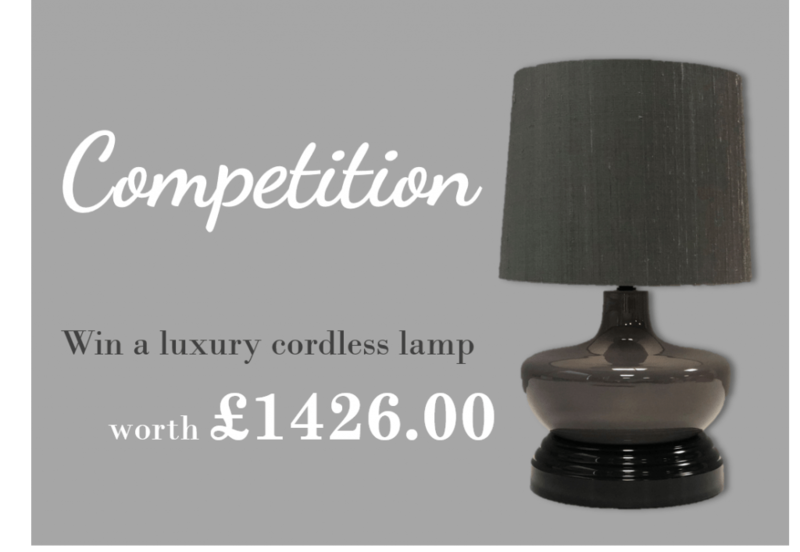 You can be sure you will never see another Dove Grey Chatsworth cordless lamp, simply because it has been made for this competition. 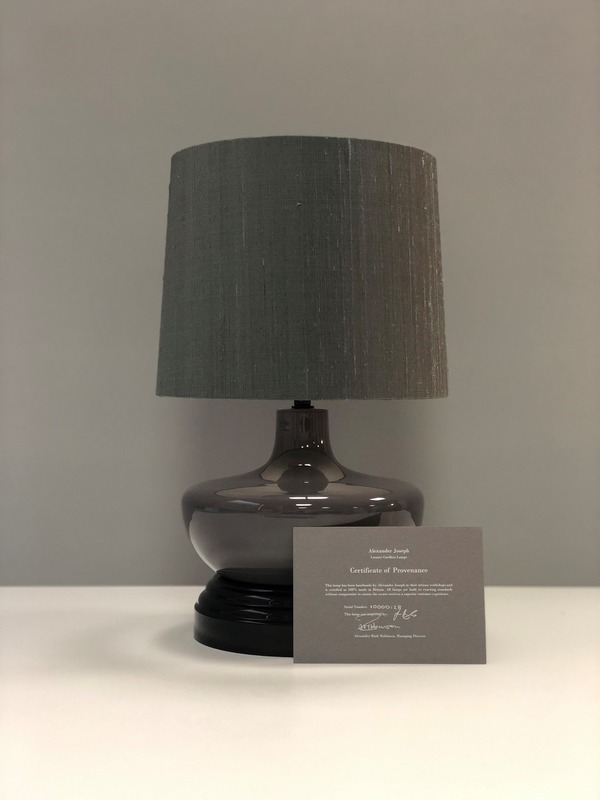 Valued at £1,426.00 and sitting on piano black base with matching lamp fittings and a dusk Grey silk shade this lamp is a true one of a kind. The piece was chosen, and hand made by Beth who manages our marketing department. Beth said “I was given a completely free hand. I chose the Chatsworth shape as it is particularly striking as a bedside lamp and works well in smaller rooms. 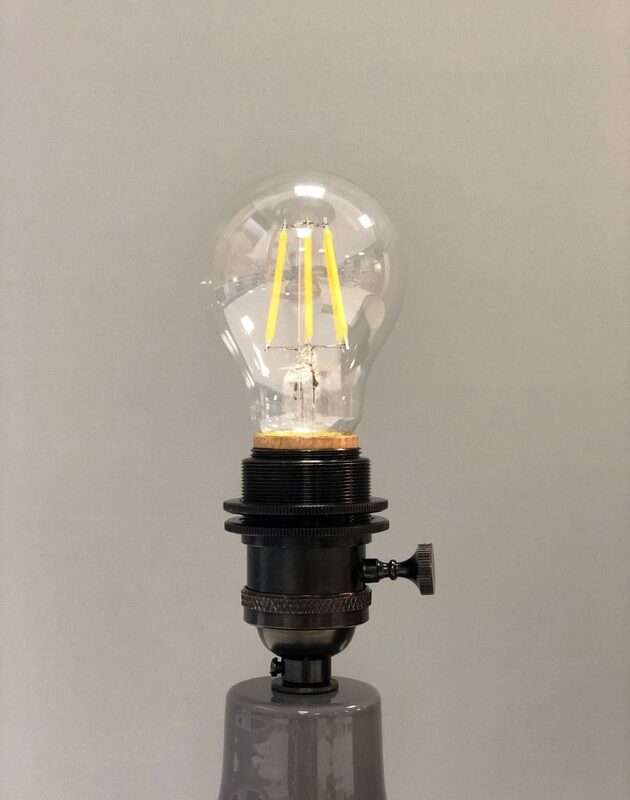 Everybody at Alexander Joseph is encouraged to make at least one of our battery operated lamps. It is important staff have an appreciation of the care and effort that goes into our luxury products”. This cordless lamp will provide at least 52 hours of light on a single charge, put another way 3-4 weeks of normal evening use. Hidden in a sealed base, the technology is discrete and robust and was completely assembled by Beth. All entrants to the competition must be aged 18 years or over. Employees and their immediate families of Alexander Joseph and its associated companies, their agents, or anyone professionally connected with this draw are excluded from entry. Entries can be made by liking the Alexander Joseph Facebook page, liking the Alexander Joseph competition social media post, then sharing it. The competition is open from the 30th January 2019 to the 6th February 2019. There will be one winner, selected at random from all entries. The winner will receive a dove Grey Chatsworth luxury cordless lamp. 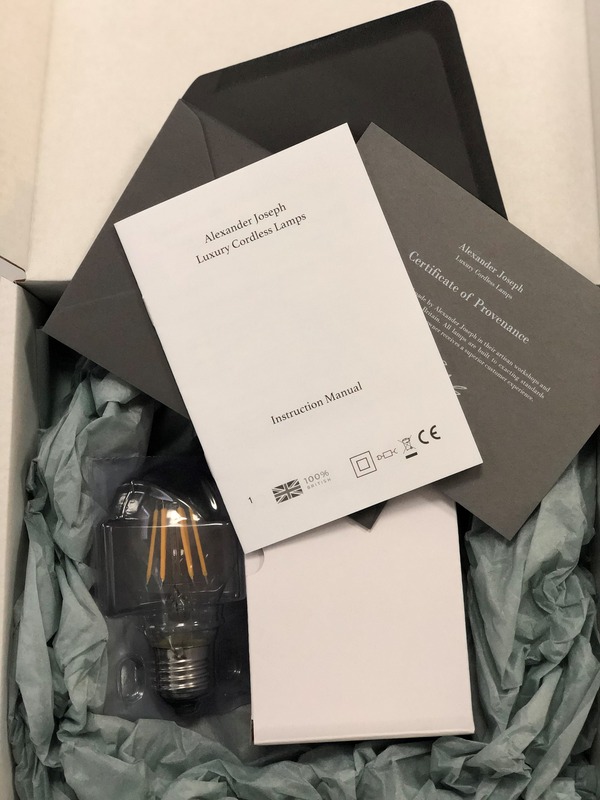 The lamp will be delivered to an address of the winner’s choice. The winner must be over the age of 18 and be able to provide proof of age. Failure to produce a proof of age will result in the prize being withdrawn. Other terms and conditions apply. The prize may be withdrawn from the said winner outlined above and a new winner drawn if the prize is not accepted within 7 days of notification.